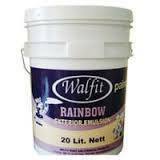 Amidst our wide range of products, we are also engaged in offering Semi Acrylic Exterior Paint. 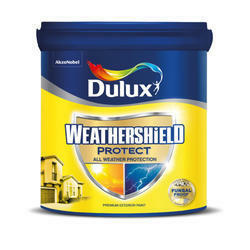 Shalimax Exterior Emulsion is the emulsion Paint which gives your walls a perfect finish with royal touch. Excellent for exterior coating, this emulsion paints is available in multiple colors according to the customers need.Decon Exterior Emulsion Paint renders a perfect smoothness over any surface and stays for a longer period of time. These anmol colours exterior acrylic emulsion is water based 100% arcylic exterior wall paint formulated to withstand high rainfall, humidity and heat. Packaging Size (ex. 1L or 1Kg): 1 L, 4 L, 10 L, etc. Thinning Ratio: 400-50oml of water by volume per ltr. Coverage: 100-130 sq.ft/ltr/coat when applied on normal masonry surface brush.